Our skilled attorneys provide our clients in New York City, Westchester County and Rockland County with the highest quality legal services in a timely fashion; whether you need an aggressive defense for a criminal charge, DWI or a traffic ticket, or you need skilled legal advice on an employment law or business law matter, our experienced New York attorneys are here to help you. 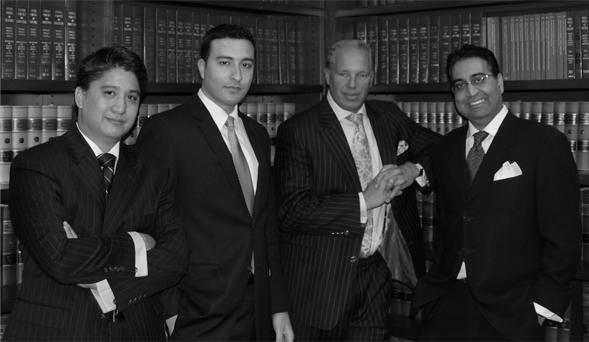 Our attorneys have successfully represented clients for over 25 years. Have our experienced team of New York lawyers prosecute your employment law claims including sexual harassment, overtime pay violations, and employment discrimination. Our employment lawyers have provided effective and timely legal counsel on pre-litigation matters and litigation employment law issues including employment discrimination, sexual harassment, wrongful termination, breach of contract, violations of non-competition and non-solicitation agreements, non-payment of wages and overtime compensation, wrongful termination, misclassification of employees as independent contractors, whistleblowers and unlawful retaliation. The impact of any restrictive covenants (non-competition and non-solicitation agreements) that you may be bound by and other issues affecting your future employment. Contact our New York employment discrimination lawyers to discuss your employment law issues and get answers about your rights and options. Call our office now at (800) 893-9645. We provide our clients with the highest quality legal representation and place paramount importance on the needs of their clients. They zealously practice law and are passionate about delivering the best legal representation possible for their clients. Their attorneys have over two decades of litigation experience in both state and federal court. They welcome the opportunity to talk with you and discuss how they may assist you. Both Mr. Villanueva and Mr. Sanchala have been rated a perfect 10 by an independent legal evaluation service. They are proud to bring their experience to fight for your legal matter. While the firm has represented individuals and corporations in various legal matters from simple defending against a speeding ticket, they have made their true legal mark in employment law and whistleblower cases contact us now to learn how their experienced team of lawyers can assist you. Among their many distinctions, the firm is proud that Mr. Sanchala was named the "leading labor and employment law attorney" for all of Westchester County in 2012 and Mr. Villanueva was recognized by the Westchester Business Journal as only one of thirty business persons to be named as a 2010 Dynamic Executive of Westchester County. In addition, he was also named one of the Top 50 Attorneys in Arrive Magazine in 2011. The Firm has achieved additional prominence through the extensive involvement of the firm's attorneys in civic and philanthropic activities throughout New York. Mr. Sanchala was appointed to serve as a Commissioner for the Westchester Human Rights Commission and Chairperson of Westchester Fair Housing Board and member of the Board of Directors for the Westchester County Bar Association.